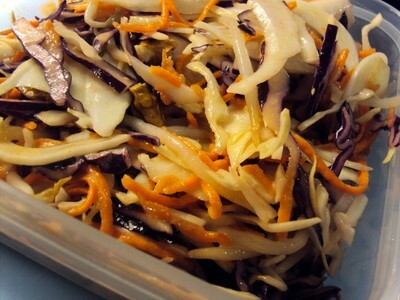 It is recommended to eat raw vegetables at each meal. 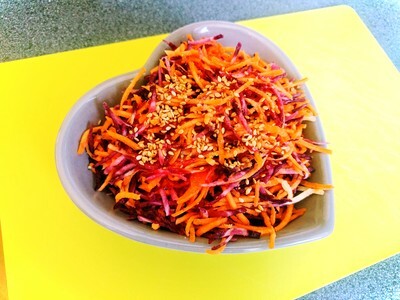 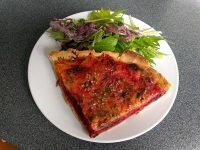 it could appear difficult at the first sight but that is quite simple in real life, just remind yourself that could be a green salad, tomato salad, grated carrots, grated raw red cabbage… I would like to share with you a really simple recipe for adding more raw food into your diet as a starter. 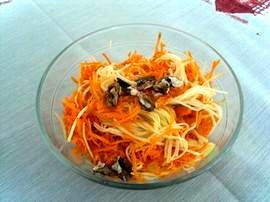 This recipe is even more appealing if you are lucky to have some various colour of carrots. 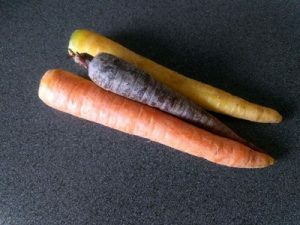 I just discovered that carrots can be white or violet thanks to my subscription to the local veggie box from Tower Green Hamlet. 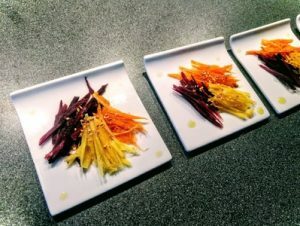 How to make simple grated colourful carrots?